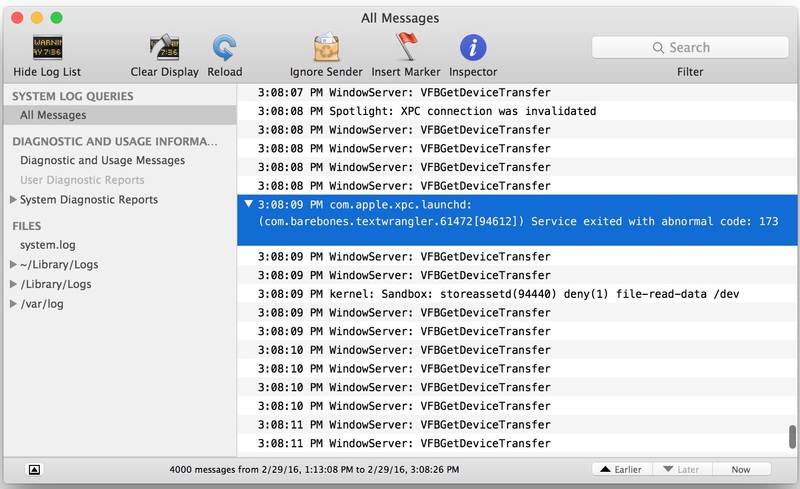 Over the last few weeks, many Mac users have discovered that attempting to launch some apps obtained from the Mac App Store fails, with the apps immediately crashing and thereby failing to open in Mac OS X. Typically you’ll see the app icon appear for a fraction of a second in the Dock, then disappear. For those who dig a bit deeper with Console and system logs, you’ll see a vague reference to error “service exited with abnormal code: 173”. It turns out the culprit behind the Mac App Store app crashing problem is a certificate issue caused by Apple (if that sounds like deja vu, it’s because a similar certificate problem occurred just a few months ago which also prevented app launching). While this is undeniably annoying and surely should have been prevented by someone other than the end-user, the good news is this app crashing problem is easy to resolve, and you’ll be regaining use and access to your Mac App Store apps again in no time at all. The Mac apps should be working and opening as usual now. If for some reason they are still crashing on attempting to launch, you’re going to have to delete the apps first, then re-download the same apps that were just deleted again from the Mac App Store. Sometimes, rebooting is also helpful. So you may want to try that as well. Save any unsaved documents and then go to the  APPLE menu and choose “Restart” to do that. Fun time, right? But in all seriousness, as troubleshooting goes this is not too bad, and it’s good maintenance to update apps to the latest versions available anyway. Perfect! Since reading that dialog text is clear as mud “??????????????????????? ?”, the clue was the App Store icon appearing alongside the error message, and with that in mind the dialog window does vaguely look like an App Store login dialog box. So, off to the App Store I went, updated the apps, and things worked fine. It was then I realized that apps wouldn’t open because of the certificate expiration issue which Apple explains to developers here, but nonetheless this is something the average end-user should not experience. TLDR: If your Mac apps are crashing instantly on launch and not opening at all, update your Mac apps from the App Store. You might want to reboot your Mac afterwards too. I ran into this exact issue today on my work Mac. The first thing I did was update my apps, then reboot, and they all worked. Good to know that it’s just an App Store problem. Apple doesn’t care about the Mac or Mac App Store The evidence is obvious with aggrigious bugs bugs and endless problems that are entirely preventable. Hope we get Apple Watch for desktop because that’s all they focus on now. Apple Watch Pro with 15″ display. This is why I refuse to download apps from the store. Made that mistake once, never going through that again. Agreed. Don’t buy software from the App Store, it’s nothing but a problem. Apple doesn’t support their own “App Store”, the thing is dead in the water and these problems keep happening because NOBODY at Apple is even maintaining it. Two certificate expirations in a row? Come on. 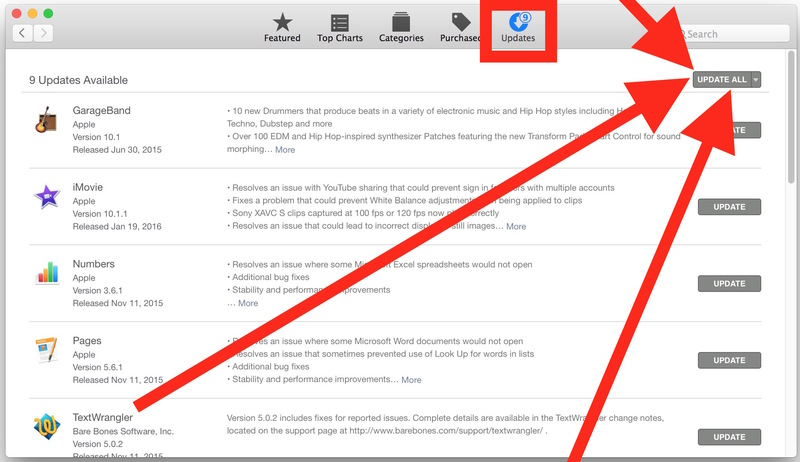 Apple doesn’t care about the Mac App Store, period. Why we have to get our general software updates from the Crap Store is annoying as well. Apple has $150 billion in cash and they can’t be bothered to hire a couple of people to maintain their own product which they force all Mac users who pay $2000+ for a laptop to use, what a company. This seems like a very avoidable error. How does a certificate expire and nobody at Apple notices, or works to fix the problem? Does nobody at Apple use the App Store? You would think their customer support would have been swarmed with people who suddenly have no working applications. Or maybe the customers contacted the software vendors instead, who got the blame for the mistake of Apple? This is the third time I can remember that the App Store and some ‘certificate’ issue (whatever that is) has caused apps to stop functioning, apps that have been paid for already. What if the computer was offline and you were in the field somewhere, and suddenly encountered this problem? This is the downside to the cloud. Apple is screwing everyone by letting this happen. The App Store typically works well and makes it easy to maintain and update apps, it does appear that Apple doesn’t care much about maintaining the Mac App Store though, which is quite unfortunate. I guess since we only buy one Mac every 3-5 years there isn’t much revenue stream compared to the ongoing $$$ coming from iPhone and related services, and they have assigned virtually nobody to watch the product line as a result. I would say it’s time to switch back to the good ol’ windows guy. Windows 7 was rock solid. Still on my machine after 6 years in a row without a glitch. On the Mac, however, during this past 2 years I’m using it, I had about 9 clean installs, 3 board replacements in the first 7 months, and due to the high failure rate, Apple finally replaced the whole thing with a brand new mac. Apple is clearly doomed. It might not be apparent for the masses at once, but I believe it’s coming. Apple has become cocky with their market position, just because Apple is trendy now does not mean everyone won’t abandon ship on the platform when the masses wake up to realize they’re paying a fortune for low quality software. The reality is Windows 10 is really quite good, and as long as you avoid the usual cruft in Windows it’s stable and does not crash, and certainly doesn’t have bugs like this because someone fell asleep at the wheel and then quit the job. The Mac is treated like crap by Apple, which is a shame, because it’s a great platform that has been run into a ditch. Windows 7 is a good product, but not as stable as OSX. When you soon have to upgrade to Windows 10 you will be sharing a lot of info with Microsoft and others. And you did get your Mac replaced. The readers here are tired of your constant crying and whining about Apple. Do us all a favor and switch to Windows. Then you will really have a reason to cry and whine. And change your feminine hygiene product, you complain more than any 100 women I know! What about the case when even the App Store not opening too? I recently updated my Mac from 10.7.5 to 10.11.3 on my old MacBook Pro late 2008. Not that the drivers for my Airport extreme it’s completely gone, but had issues with my M-Audio Firewire 410 also, drivers which were not anymore supported by the producer. Solved this one though, with some friendly help from audio forum. All went well and happy about the speed of the new OS, until last days my Mail app won’t open. Same for iCal and Address Book. Few minutes later found out that App Store also not opening. I’ve restored my old OS and wait for a new release of 10.11…or even a newer one. Don’t get me wrong I liked the new OS, but hadn’t had the time, and could ‘t afford waisting time debugging. I also know that my mac it’s old, but they say this OS should be supported on my machine. I have a similar issue with my mac in the fact that one of my users doesn’t allow me to open any kind of apps or documents (except for safari). When I click on them it tells me “app closed unexpectedly”. This problem is related to a single user and not to others. What shall I do? my mac desk top did the same thing i was changing jobs and had some good sources so i made sure i updated and bought app at first it ran great i was able to get to web pages then less than a month it crashed and doing same thing. I just tried your suggestion and am about to see if it is working . I seem to be wrestling with this more than i have time to.